Flowers are an integral part of any wedding day. They can bring the whole day to life injecting colour and tone in an instant. But while flowers and weddings go hand in hand, that doesn’t mean you have to stick to the script. If you want to get away from the more traditional and embrace unusual wedding flowers ,then now is the perfect time to do it as there is an entire industry of floral creativity waiting to be discovered. Have fun with flowers and don’t be afraid to make a statement. 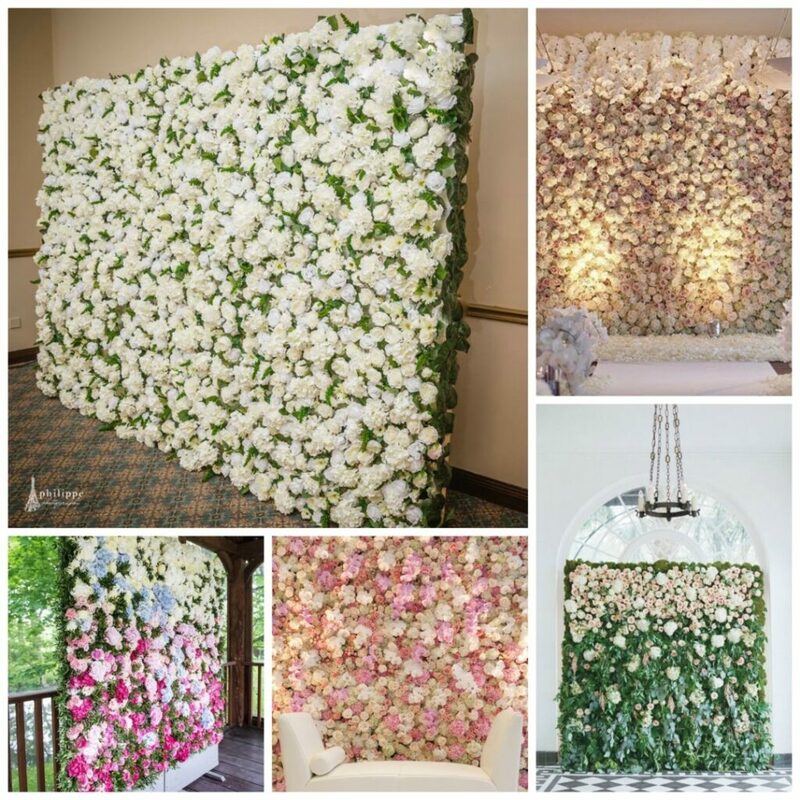 Think floral walls, hanging florals, floral instillations, floral chandeliers, and much more. Of course fresh flowers are always going to be a pricey investment for your big day, but thankfully there are a whole host of false blooms out there that look so convincing it would be almost impossible to tell the difference. If you’d like to chat about this or any other aspect of your wedding day décor, then please don’t hesitate to get in touch with me directly. Make a statement with stunning hanging florals. 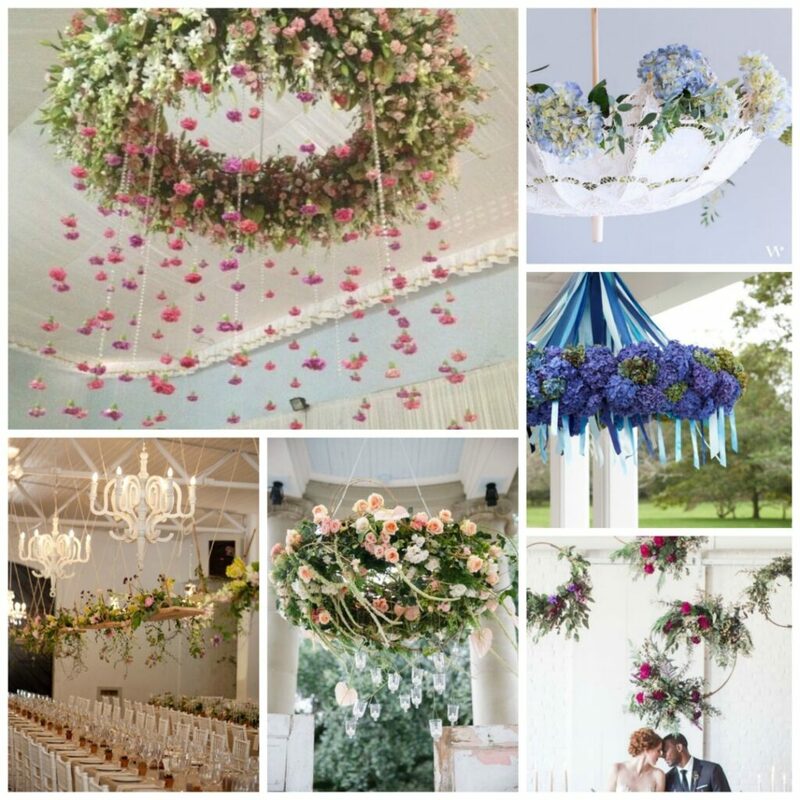 Think of floral installations suspending from the ceiling over your tables. Upturned parasols filled with flowers can look like something off a movie set. For atmosphere why not have handing tea lights interspersed with flowers or have lanterns strung from the ceiling filled with blooms. And for the DIY lover, then using hula hoops covered with flowers or floral wreaths can work really well too. Who said chandeliers have to be crystal? 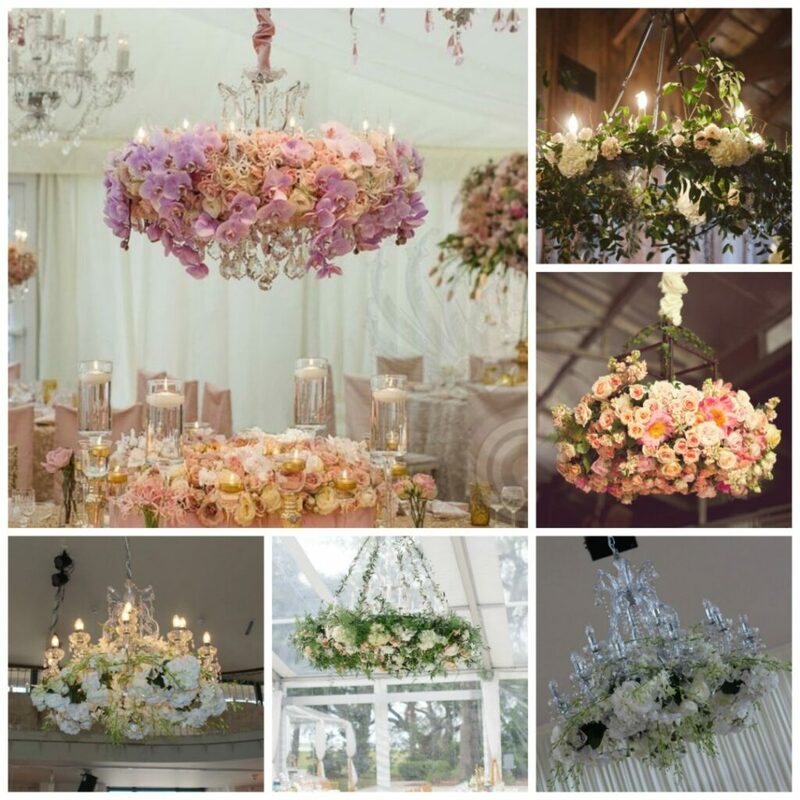 Add a host of beautiful flowers to chandeliers in your wedding venue and turn something beautiful into something extraordinary. Channel the loved celebrity style trend with an impressive floral wall. You could use these during your ceremony, or at the reception where it can become a real focal point and even an impromptu DIY photobooth for your guests. Don’t be afraid to experiment with a burst of colour, but of course the classic colours of crisp white and lush greens will work with any theme. 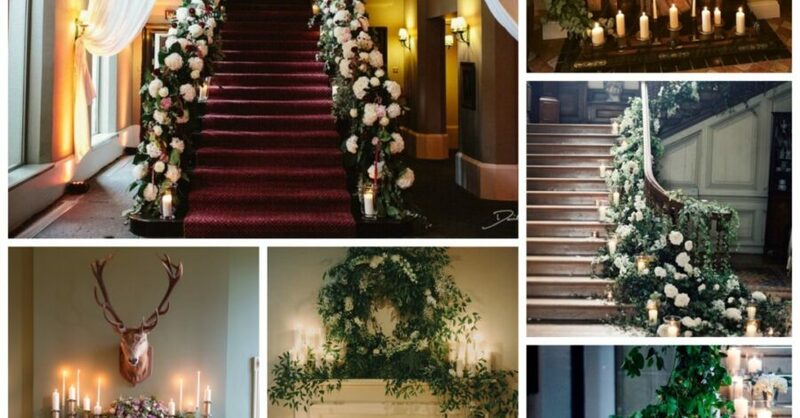 If you’ve got staircases and fireplaces in your venue, then make sure to make the most of them and accent them with some flowers. 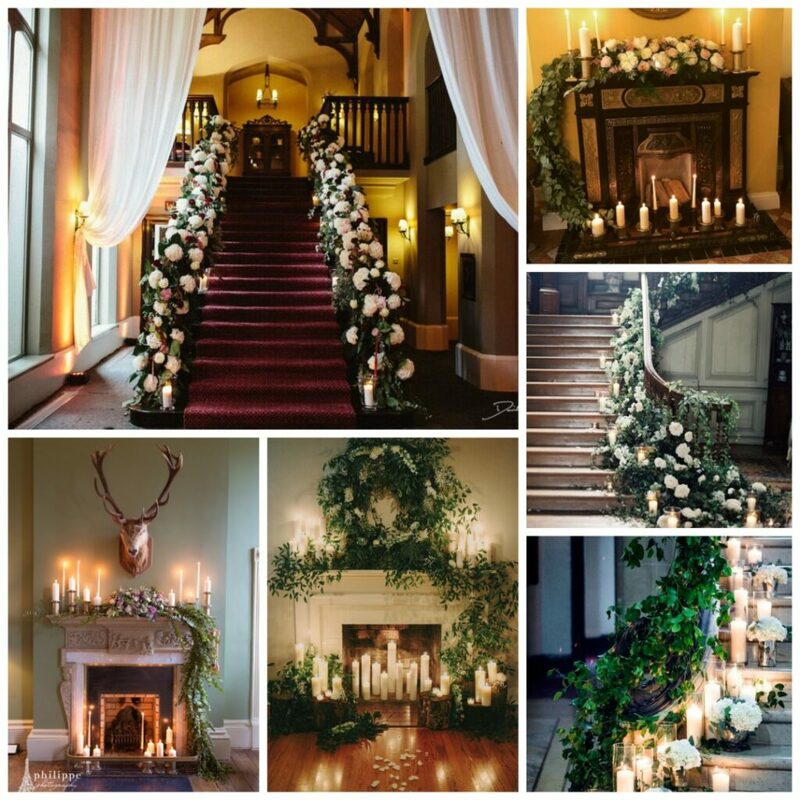 Whether it be decadent, show stopping garlands or simple wildflowers, it really does have a massive visual impact. 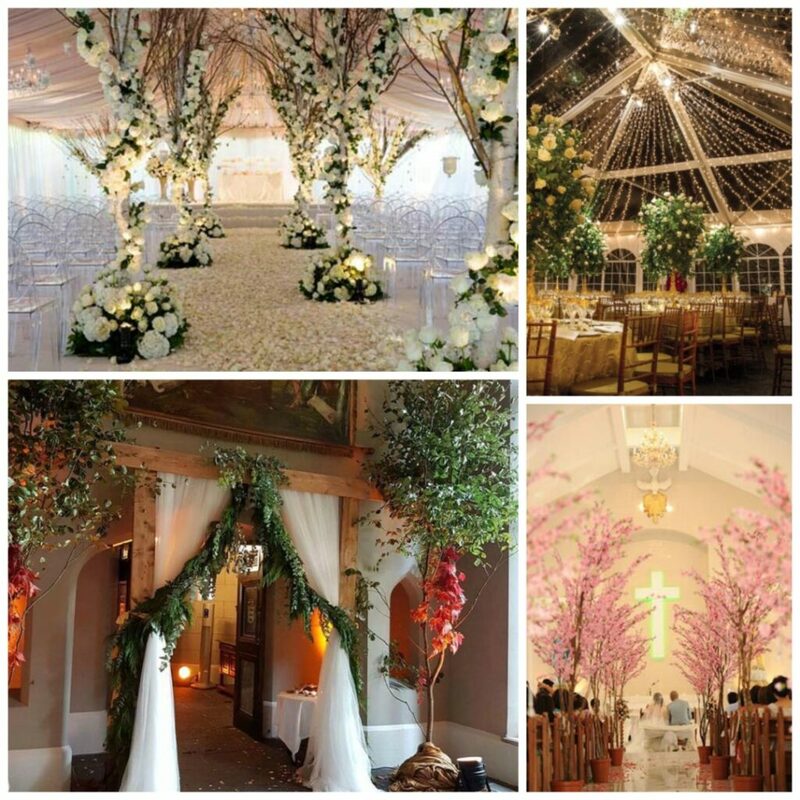 Bring a real senses of the outdoors in with some perfectly placed trees in your venue or ceremony. Think about using them as pew ends, or dotted around the venue to really add some stunning scenery to your day. Content copyright Perfect Details 2015. All Rights Reserved.